Lisa earned her Bachelor’s degree in Food Science from Cornell University, and her Masters and Ph.D. in Food Science from the University of Wisconsin-Madison. Her graduate work specialized in food chemistry, specifically looking at the changes in cheese during ripening. She joined General Mills in 1992, where she worked in the Big G cereal division, the Baking Products Division, as well as the Yoplait division. Most of her career has focused on new products, working on product launches that included Frosted Cheerios and Go-Gurt. 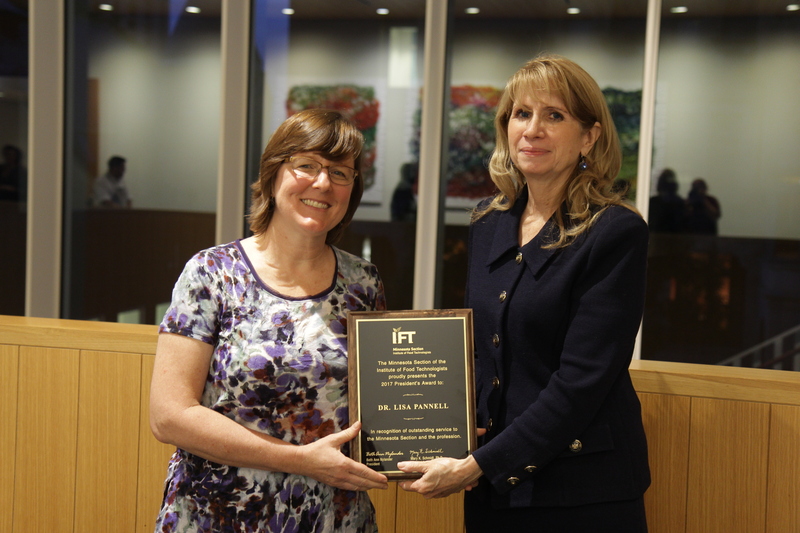 Lisa has one patent, has authored two papers, and one book chapter, related to her research. Moving from product development to open innovation, she became the Innovation Entrepreneur for Yoplait in 2009. 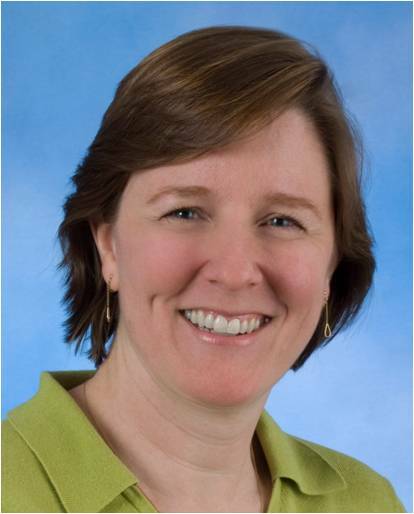 As Innovation Entrepreneur for the Yoplait Division of General Mills, Lisa was responsible for applying open innovation techniques to find solutions to Yoplait’s business and technology needs. In this role, she searched for and worked with people both inside and outside the company to bring in new technologies, new ingredients, new products, or new processes that would create business opportunities. Lisa moved to a product design accelerator role in 2015. Lisa, is currently a Senior R&D manager, with a team of Product Design Accelerators, supporting the General Mills global dairy business. Lisa has been active in the local IFT section since moving to Minnesota in 1992. Within the Minnesota section, she was the recording secretary for three years (1995-1998), and membership secretary for three years (1999-2002). She was the Long-Range Planning Committee Chair in 2002-2003, served as councilor in 2002, President-elect in 2004-05, President in 05-06. After serving as President, she served as Councilor, and now as a section Director. She created a new networking program in 2008, and chaired that effort for two years. She also chaired the program committee (04-05), served on the Macy Award committee (04-05), Long Range Planning committee (06-07), and Silent Auction Committee since 2005. She has both chaired (08-09) and co-chaired (2014-2017) the committee for multiple years. The Silent Auction, has raised over $72,000 to benefit scholarships for food science students over the eleven years it has been in existence. Lisa also has served as the Chair of the Midwest Caucus of IFT (2003-2004 and 2006-2007) and hence served on the IFT Council Issues and Agenda Committee for 2003-2004 and 2004-2005. She joined IFT as a student in 1984, was involved with the student association (as College Bowl Chair and Finance Chair). She was an active member of the IFT International division, including serving as the recording secretary for one year. The President’s Award was established by the Minnesota Section of the Institute of Food Technologists in 1987. In the words of the Bylaw adopted to formally establish the Award, its purpose is “to recognize a member in the section who has served the Section and the profession in an outstanding manner”. The Award consists of an engraved plaque with the citation and an honorarium. The presentation is featured at the first dinner meeting of the year for the Minnesota IFT Section. All members of the Minnesota Section are eligible for this award. The selection of the award is made by a committee of the Section, which is comprised of current and former Presidents of the Minnesota Section with the committee begin chaired by the immediate past President of the Minnesota Section. Nomination for the award may be made by the any member of the Minnesota Section. 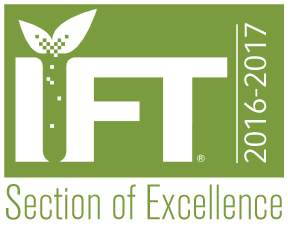 The Award recognizes the dedication that many IFT members have for their professional scientific society and says “thank you” to all who have given their time to improve the future of the food sector.